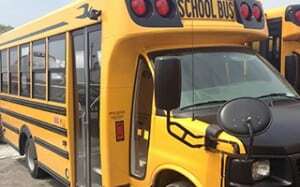 We provide school bus transportation solutions for private schools and colleges. Whether your school catchment area is local or broad, we provide the bus fleet required plus route design services to ensure the shortest transit times with the fewest buses possible. Our route optimization expertise means maximum service at the lowest cost. Let our team work to plan transportation solutions for your school. Of course, we also provide charter bus rental services for field trips and athletic team transportation. We offer private (user-pay) student school bus transportation services for parents needing safe, daily transportation for their children. Typically, these students are not eligible for bussing under district school board transportation service policies. School boards are also increasingly offering exciting new regional programs to their curriculum yet they may not include transportation service. How does private student transportation service work? Importantly, parents can be assured assured that our private routes are maintained to the same high level of safety, customer service and efficiency as our traditional home to school services. These routes have dedicated drivers and vehicles ensuring a consistent level of service. We offer flexible payment terms to maximize the opportunity for students to ride on these routes. Do you already have a private bus going to my school? My community is interested in private bussing for our kids – can you help? Absolutely! We’d be happy to discuss your transportation needs further so contact us today!